Chess.com has recently developed a tool that evaluates the strength of play for any chess player, or the quality of moves of any chess game. They call it the Computer Aggregated Precision Score (or CAPS). Essentially, what CAPS does is evaluate a player’s game (or set of games) and assess its moves for its accuracy against what the computers think are the best moves in each given position. 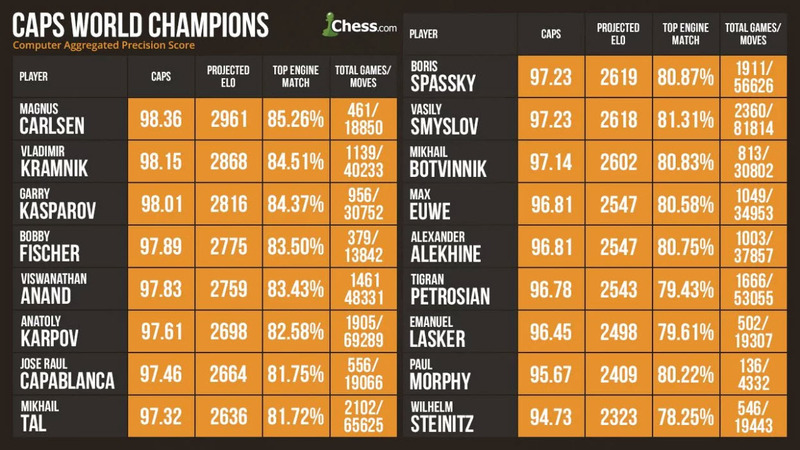 Now, since world champions of different eras have no way to prove their worth against each other, CAPS is a good way to evaluate and compare the quality of their games, and thus will give us a “rough estimate” of how well world champions will fare against each other should they face over the chessboard. 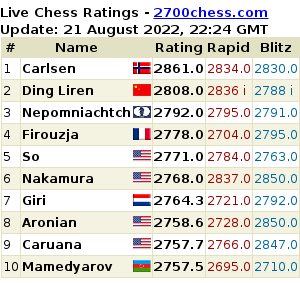 Indeed, Chess.com did just that. What do you think? Do you agree with the CAPS system? Put your comments below.